60 is the number of families who received a package from One Body Global Ministries’ Food Assistance Project this week. When we started on this journey, we never imagined the need for basic food would be so HUGE. Why? Due to the sociopolitical crisis that started on April 18, many hardworking Nicaraguans now find themselves jobless. The number of people living at the poverty level (defined as living on $2/day) has exploded and continues to grow. I have to admit that some days, it seems overwhelming and almost impossible. For example, how can we be here in the U.S. and feed all these hungry people? It’s not just about buying food, it’s about getting the money there when the banks are not open, and other considerations including sorting, weighing, bagging, distribution and transportation around road blocks. Every time we have our doubts, God shows us that with Him all things are possible. In early June, we received unexpectedly generous donations, and we knew exactly where He wanted us to use them. We immediately contacted our trusted local friends, Erlin & Yovelsi Alvarez, whom we have known since 2009. Both are shining examples of professionalism and have dedicated their lives to Jesus Christ. 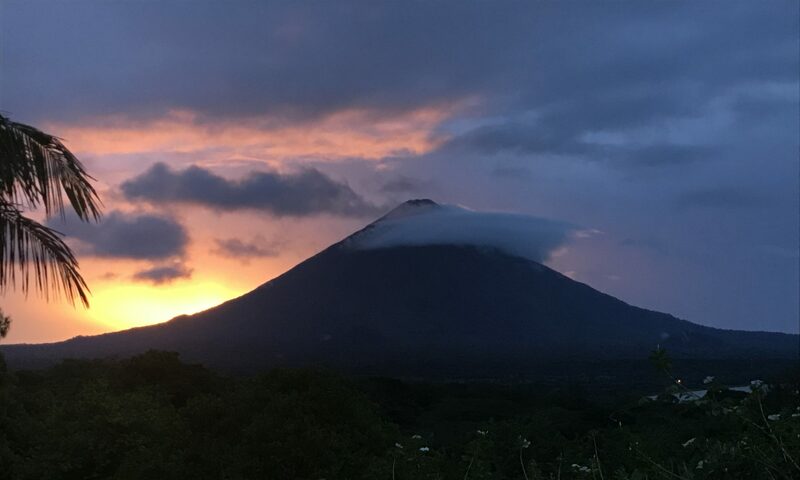 Thanks to Erlin, Yovelsi and over a dozen of local friends, families, pastors and church members on Ometepe Island, His great plan unfolded. Many of the recipients were the poorest and sickest in the three “barrios” of Santa Cruz, Madroñal and Sintiope. Erlin shared, “We have seen much need, some women have cried when we delivered the food.” The pictures tell most of the story. Each of the 60 families received: 20 pounds of rice, 5 pounds of beans, 5 pounds of sugar, 2 liters of oil and 1 pound of coffee.